Woodstock, Georgia — May 04, 2011–Smart Mouth Pizza today honored Ivan Ortega, a senior at Etowah High School in Woodstock, Georgia as the winner of the company’s 2011 Student Video Contest. Ortega, who is a graduating student, produced and submitted a video entitled Lottery Winner, that depicts the excitement of hitting the lottery jackpot when the prize is the company’s healthier lunch alternative pizza product. “You have made a name for yourself, and I can’t wait to see what the future holds for you,” saidSmart Mouth company founder Tom Willingham in presenting the student with his award in the presence of key faculty and school nutrition administrators today. 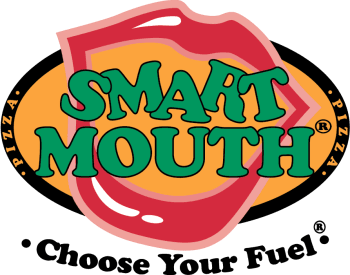 Included with the honor, is a $1000 donation made to the school by Smart Mouth Pizza that is earmarked for a student activity to be chosen by the student producer of the winning video.